Cameron Diaz and Edward Norton having drinks at a Super Bowl party in 1999. Diaz was goofing off already very inebriated when this picture was taken. 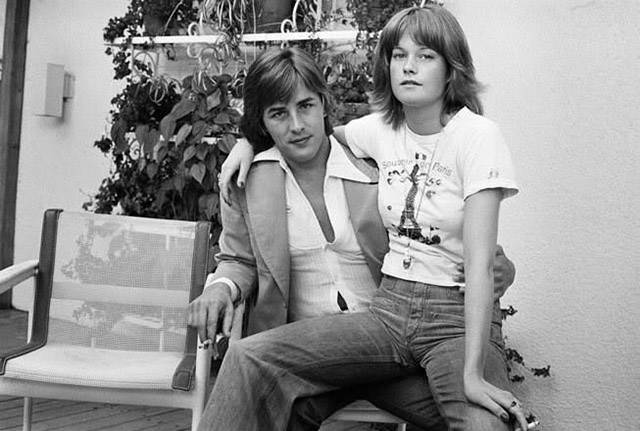 25 year old Don Johnson and 16 year old Melanie Griffith hanging out together at his home in 1974. They met when she was 14, began living together when she was 15, and married when she was 19. The marriage lasted 6 months. 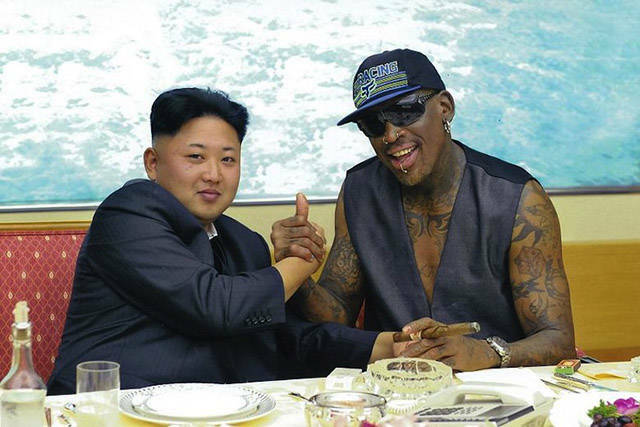 Kim Jong Un with Dennis Rodman after another visit of the former basketball star in 2014. Rodman considers the North Korean Dictator a friend and has been a personal guest organizing basketball events in North Korea numerous times. Jane Fonda does interviews while in a North Vietnamese anti-aircraft defense station. She pretended to operate the device (which was used to shoot at American bombing runs), and in this picture simulated how she would react to a bombing raid. She also repeatedly showed support for the North Vietnamese in her protest against the war in Vietnam in 1972. 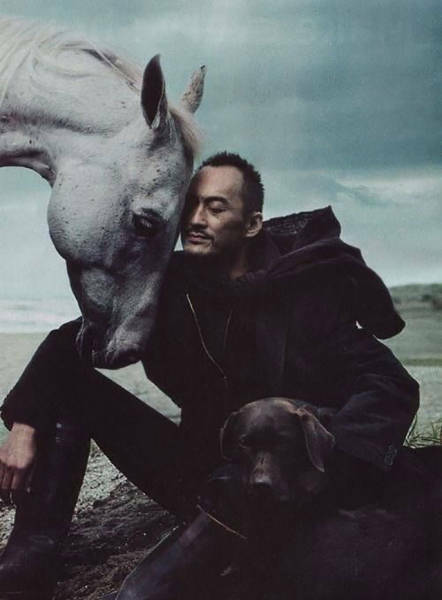 Ken Watanabe taking a picture with a horse and dog for an American Express campaign in 2009. Alison Brie wearing a silly hoody at home sometime in the late 2000s. Kate Beckinsale with her ex Michael Sheen behind her take a walk with their daughter Lily Mo Sheen in 2016. Lily Mo is the young girl with the famous reaction gif of her putting her drink down and clapping awkwardly at the Golden Globes. The family is quite close and gets together often. 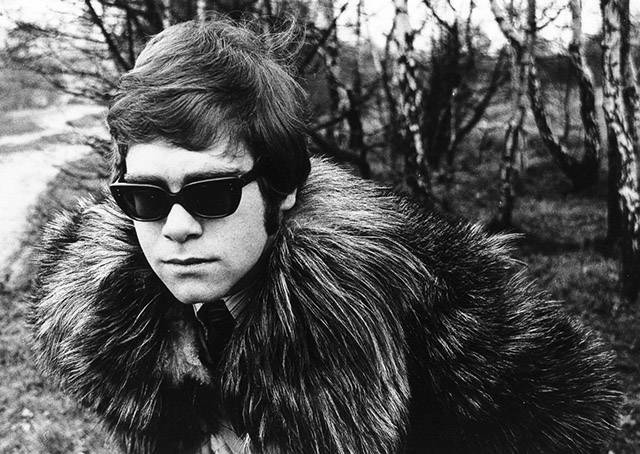 21 Year old Elton John wearing a fur coat for a photo shoot in 1968. 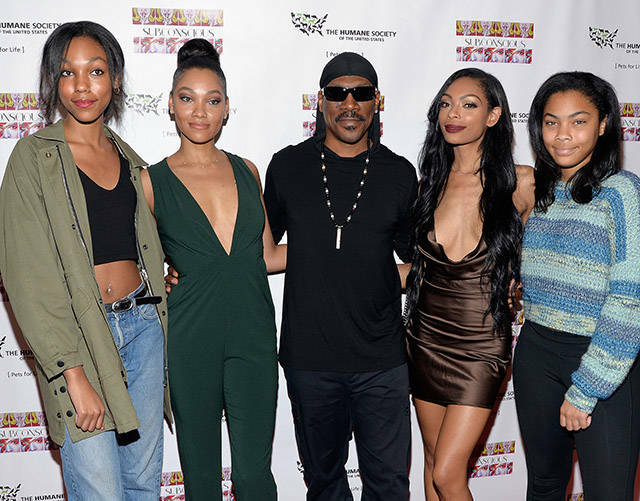 Eddie Murphy with his 4 daughters (left to right) Zola, Bria, Shayne and Bella Murphy at Bria Murphy's art show in 2016. Eddie has 7 children total. 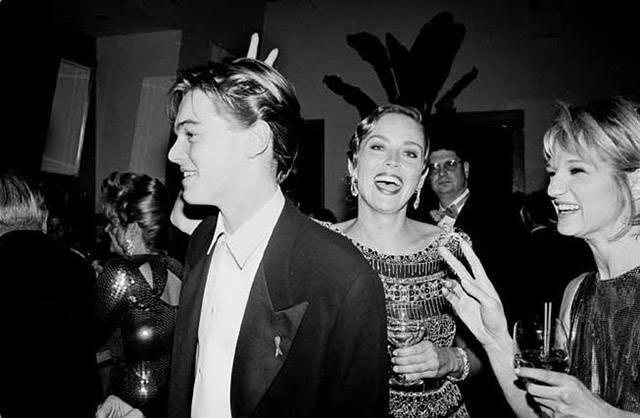 Sharon Stone goofing around with Leonardo DiCaprio and Ellen Barkin at the 1999 Oscar party. 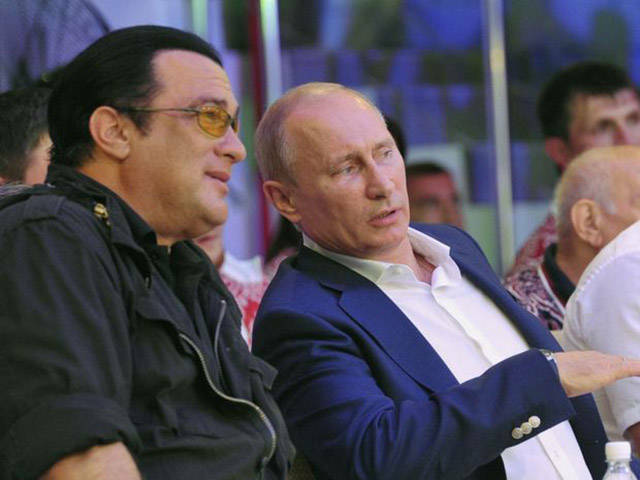 Steven Seagal with Vladimir Putin at a wrestling event in 2016. Seagal was doing some community events in Russia while getting his Russian citizenship. 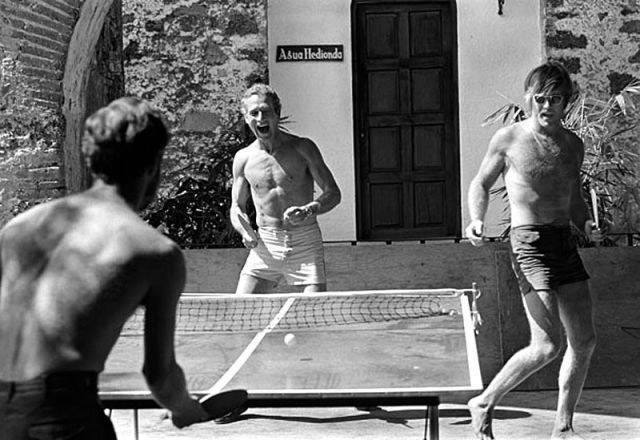 Paul Newman and Robert Redford take a break from filming Butch Cassidy and the Sundance Kid to play ping pong in 1969. 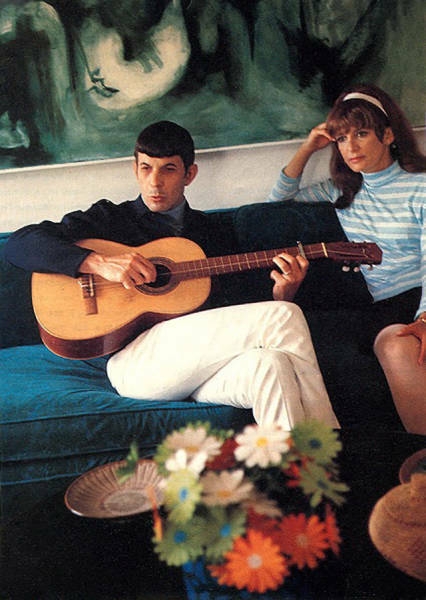 Leonard Nimoy playing his guitar for his wife Sandi sometime in the late 1970s. The famous duo Sonny and Cher out together sometime in the mid 1960s. 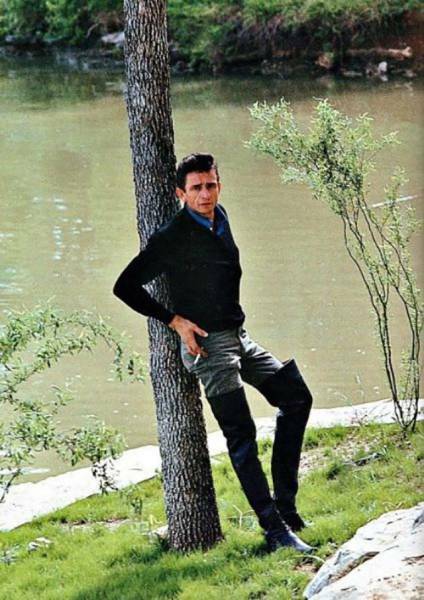 Johnny Cash smoking a cigarette by the water sometime in the mid 1960s. 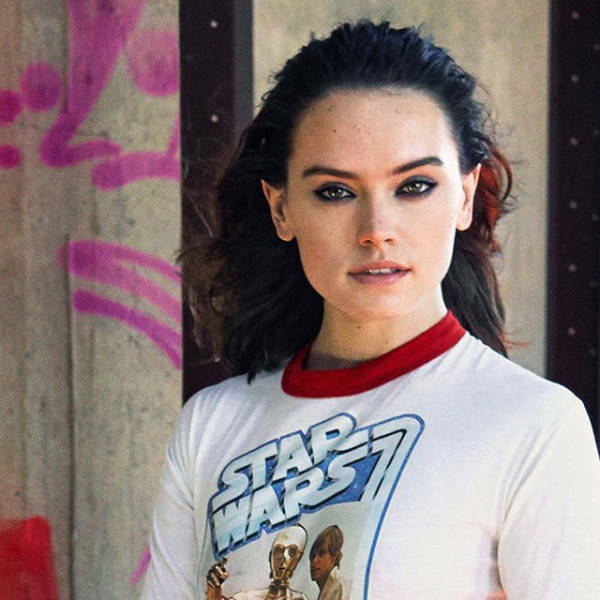 Daisy Ridley wearing an original Star Wars shirt for a shoot for Elle in 2015. 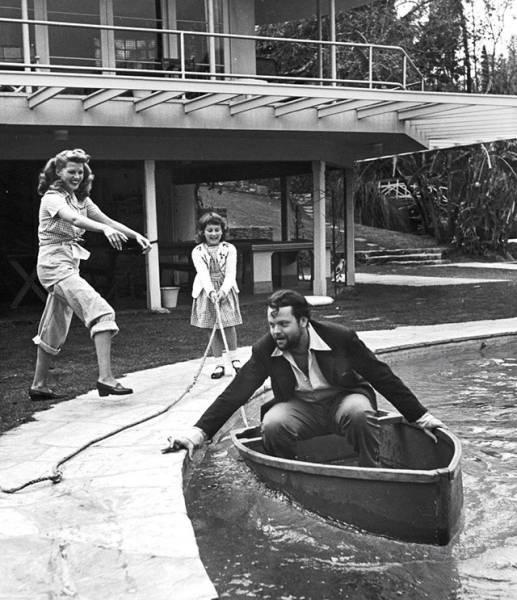 Rita Hayworth and her then husband Orson Welles and his oldest daughter from his first wife messing around his home for a photo shoot in 1945. 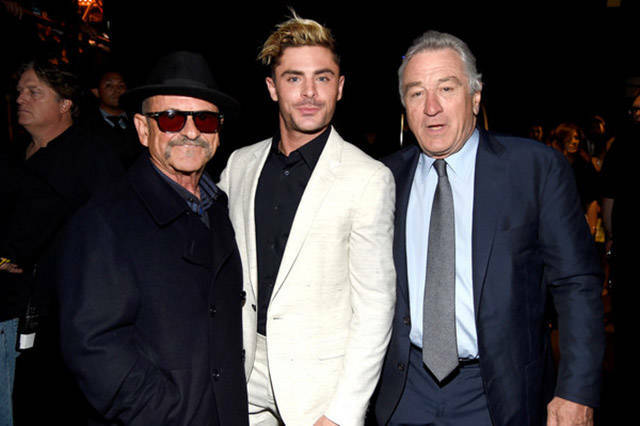 Joe Pesci, Zac Efron, and Robert De Niro at the Spike Awards in 2016. Jeff Goldblum with his then Girlfriend Geena Davis at his home in the mid 1980s. 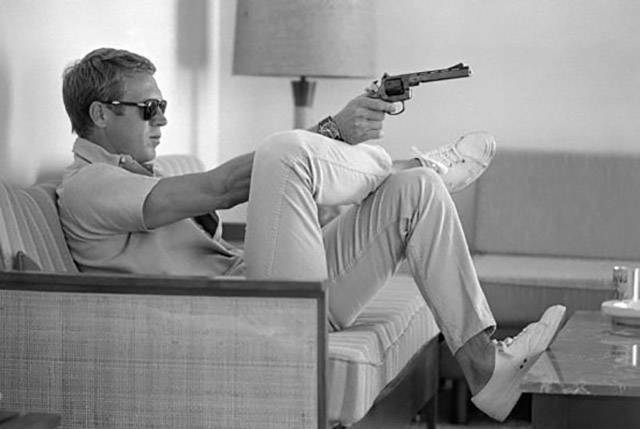 Steve McQueen checking his gun before going shooting in the desert in the early 1960s. 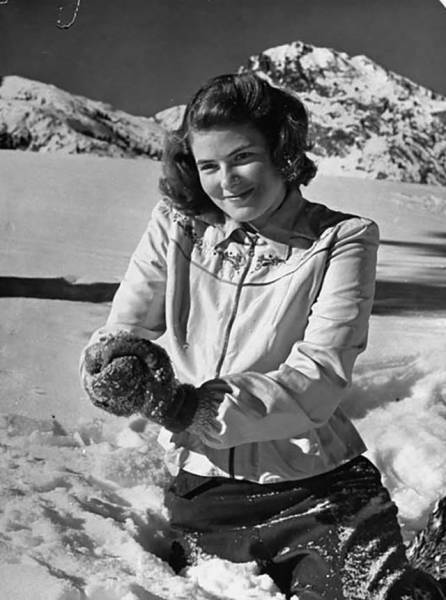 Ingrid Bergman making a snowball for a Life Magazine shoot in 1941. 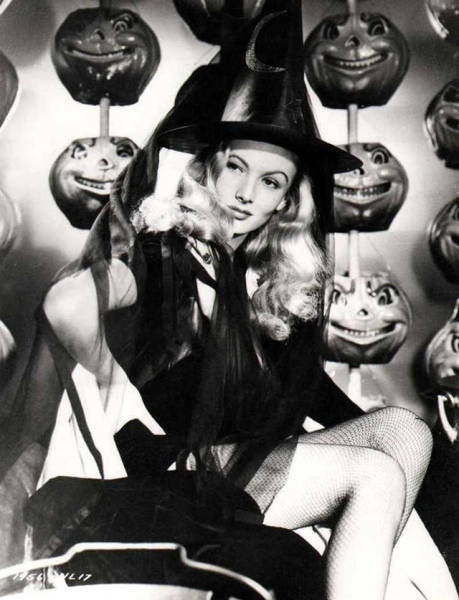 Veronica Lake doing promo pictures for the film I Married a Witch in 1942. 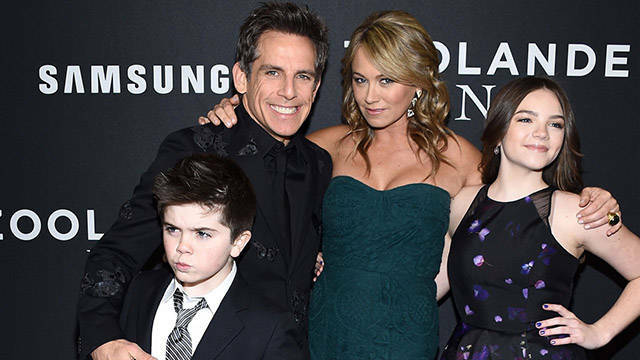 Ben Stiller with his wife Christine Taylor and their 2 kids in 2016. 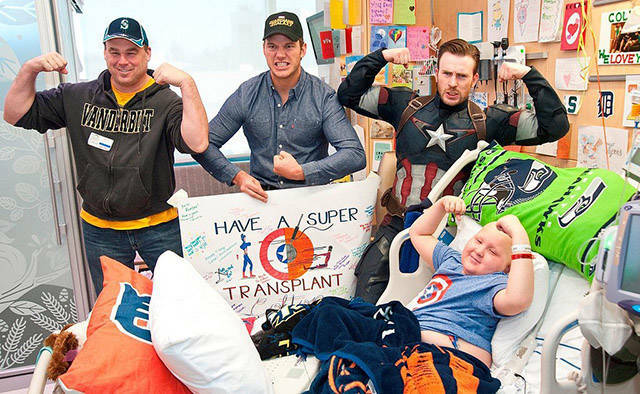 Chris Pratt and Chris Evans, who dressed as his character Captain America, visit sick kids at a Seattle children's hospital in 2015. 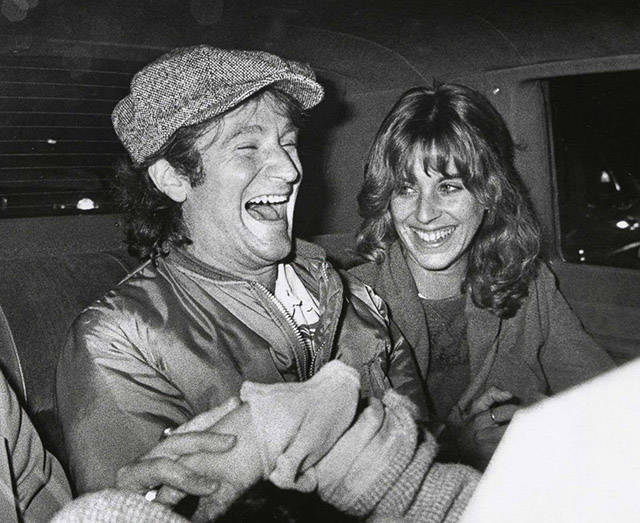 Robin Williams having a laugh after taping an episode of SNL with his then wife Valerie in 1983. 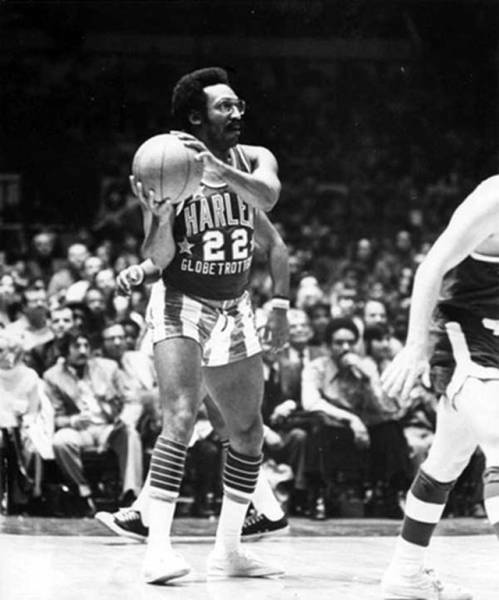 Bill Cosby playing basketball as a Harlem Globetrotter in 1972. 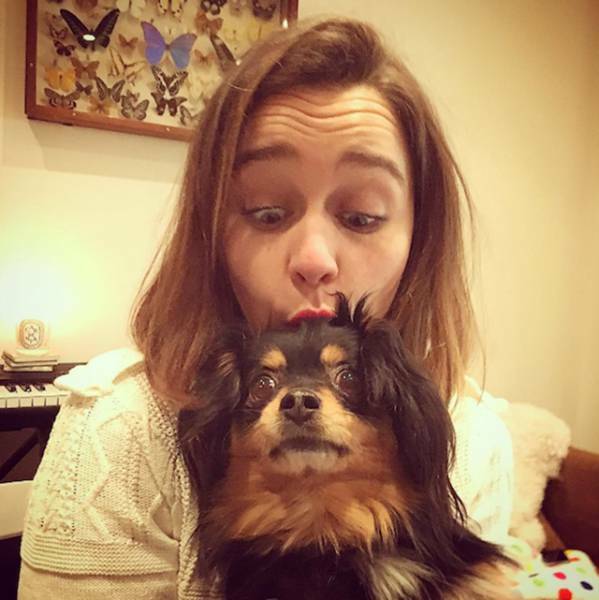 Emilia Clarke hanging out at home with her dog in 2015. 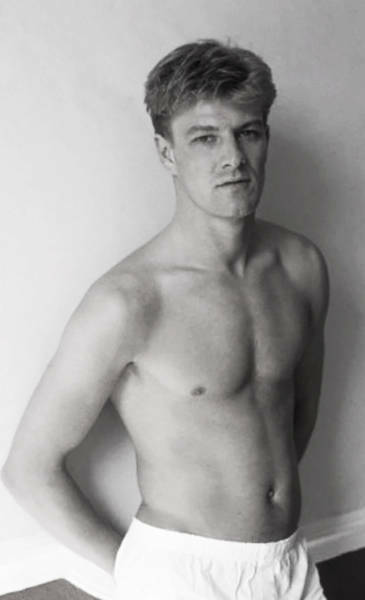 A young Sean Bean surviving his first modeling shoot sometime in the early 1980s. 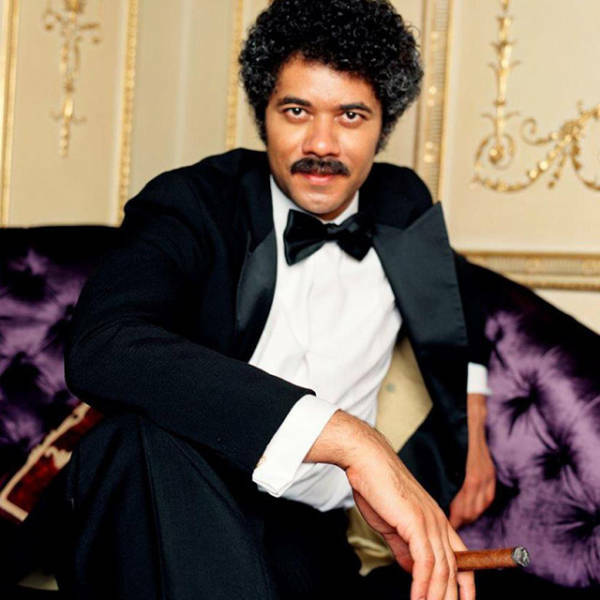 Richard Ayoade dressed as his character Dean Learner for a photo shoot sometime in the early 2000s. Angelina Jolie doing a photoshoot on a Cobra in 2000. 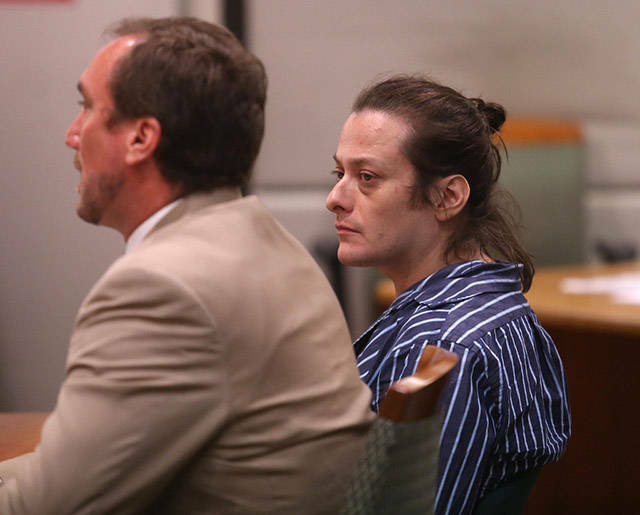 Edward Furlong in court over his alleged assault of an ex-girlfriend in 2013. 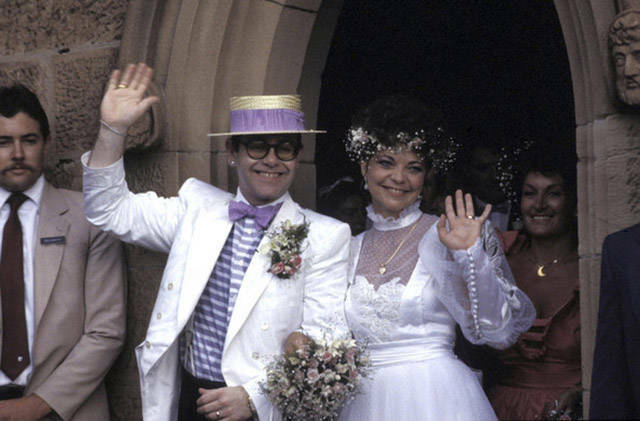 Elton John after his wedding to Renate Blauel in 1984. Claudia Cardinale hanging out on a bar at her friends home in the late 1960s. 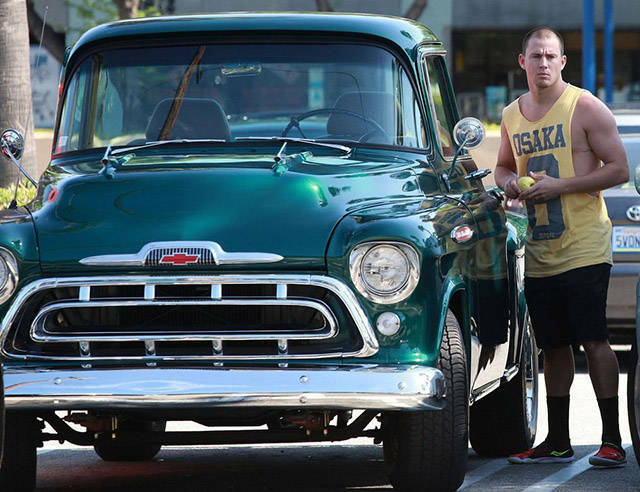 Channing Tatum with his 1960s Chevy Apache truck sometime in the last few years. 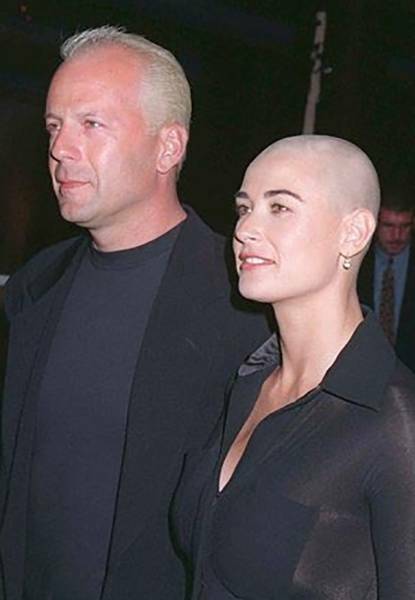 Bruce Willis, while he was filming The Fifth Element, and his then wife Demi Moore, while she was filming G.I. Jane out together in 1997. 16 Year old Charlize Theron posing in front of her tractor in her native South Africa in 1992. 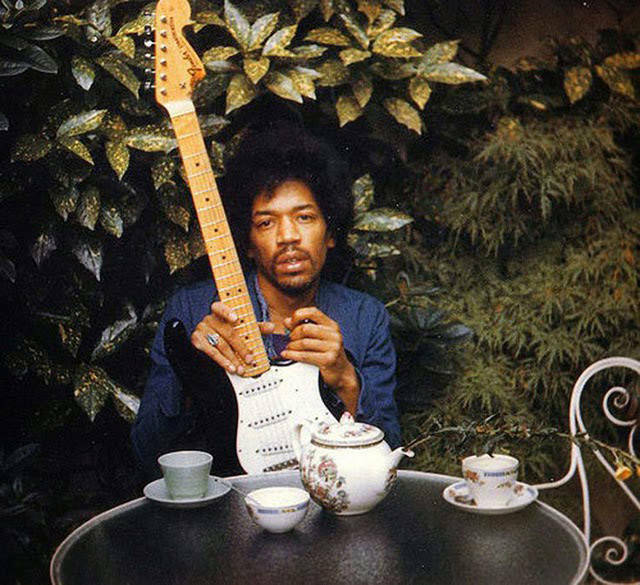 Jimi Hendrix hanging out the day before he died in 1970. Susan Sarandon doing a simple modeling shoot in the late 1960s. Ryan Reynolds out on one of his bikes in 2012. 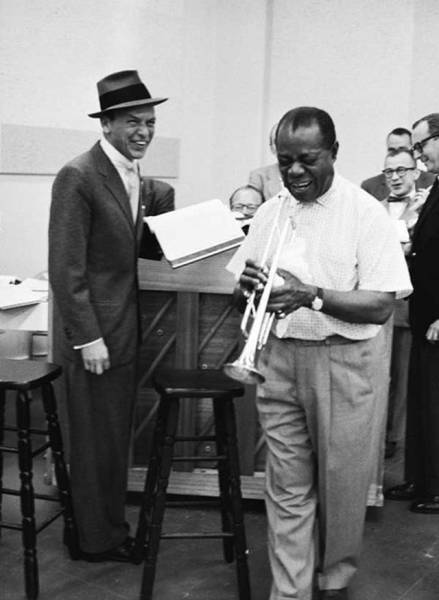 Frank Sinatra and Louis Armstrong having some fun rehearsing for The Edsel Show in 1957. Christina Applegate with Brad Pitt when they were dating in 1988. It didn't last long as Christina dumped him shortly after it began. Michael Caine lifts up his girlfriend Natalie Wood in the back yard of his home in 1966. 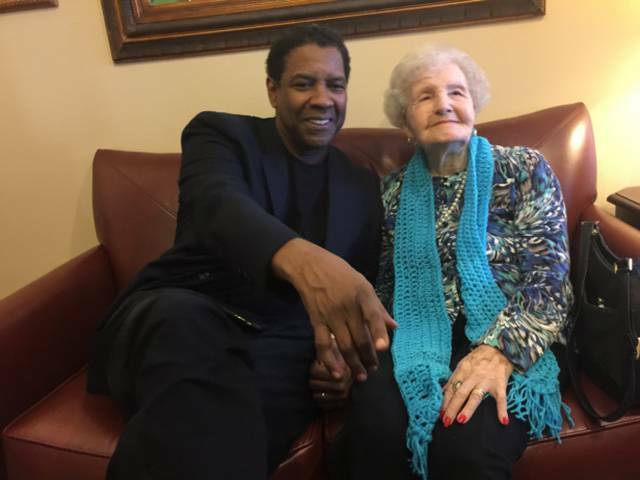 Denzel Washington surprises his hometown librarian on her 99th birthday party in 2016. 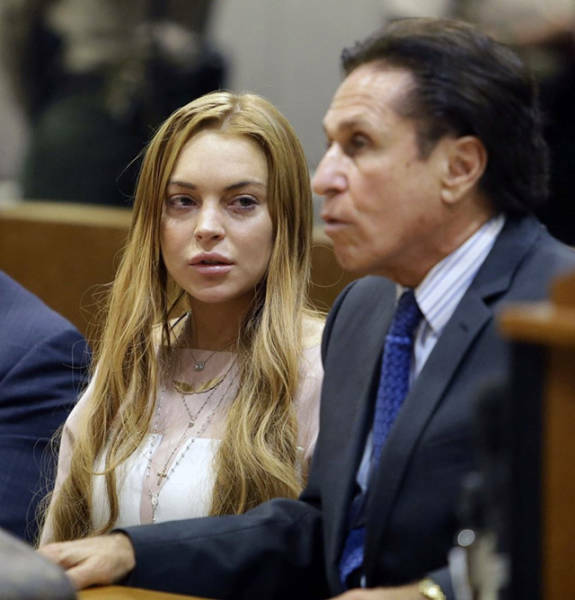 Lindsay Lohan in court after being accused of lying to police about a car accident she caused in 2013.